​Aside from providing accommodations that are ideal for comfort and relaxation, The Inn at DePauw's hotel guest rooms are furnished to serve the needs of business travelers and conference attendees. In addition to wireless Internet access, each room has well-appointed lighting a desk, and ergonomically designed adjustable chairs. Whether you are a business traveler, a conference attendee, a DePauw University alumnus, professor, or parent, or "just passing through," The Inn at DePauw is a top choice among Greencastle Indiana hotels for your home away from home during your stay in the greater Indianapolis area. 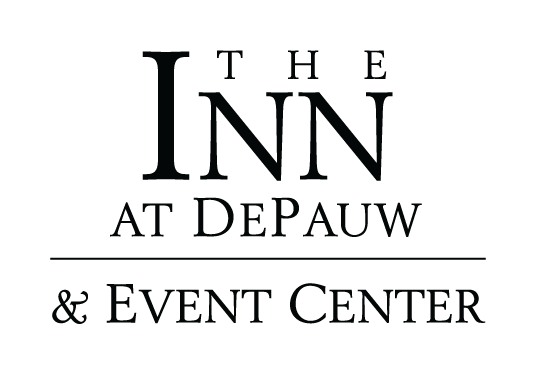 If you're looking for a romantic getaway or the ideal venue for your next executive conference or retreat, The Inn at DePauw is the perfect choice. Located in Greencastle, Indiana, just 30 minutes west of Indianapolis, The Inn at DePauw is on the campus of DePauw University. The full-service hotel and conference center is available to leisure and business travelers, alumni and parents, business groups seeking a first-class meeting facility, and for weddings and private parties. Along with DePauw University, The Inn at DePauw is close to area attractions and activities that range from Putnam County covered bridges, Indiana state parks, public gardens, local shopping, museums, golf courses, and Indianapolis motor sports. The Inn at DePauw's 54 newly renovated boutique guest rooms are comfortably furnished, and include all of the amenities. Two on site restaurants feature menus designed to please every palate, from room service to business group dining. With over 6700 square feet of flexible meeting space, we are the perfect venue for a wedding, conference, board meeting or retreat. Any you are a leisure or business traveler in need of Greencastle Indiana accommodations, a meeting planner seeking event space or a bride to be in search of the perfect wedding venue near Indianapolis, Indiana, The Inn at DePauw is ready to welcome you.